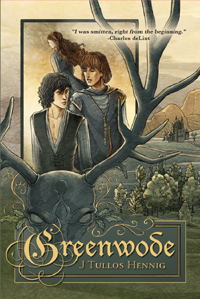 The #HistoricalFantasy duology Greenwode & Shirewode! Catch up on this unique take on the #RobinHood legend just in time for the upcoming release of the 4th book Summerwode. 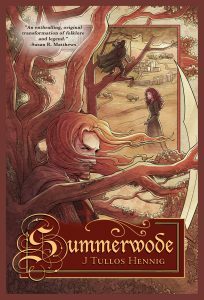 Follow the link for SUMMERWODE’s fresh new page with a fresh new excerpt. And enjoy! 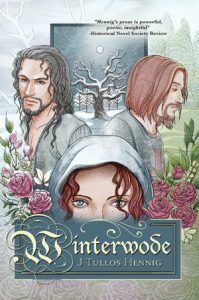 I will be manning a dealer’s table at Westercon 69 with not only my own titles, but quite a few others from the #dsppublications catalogue–kindly come visit! 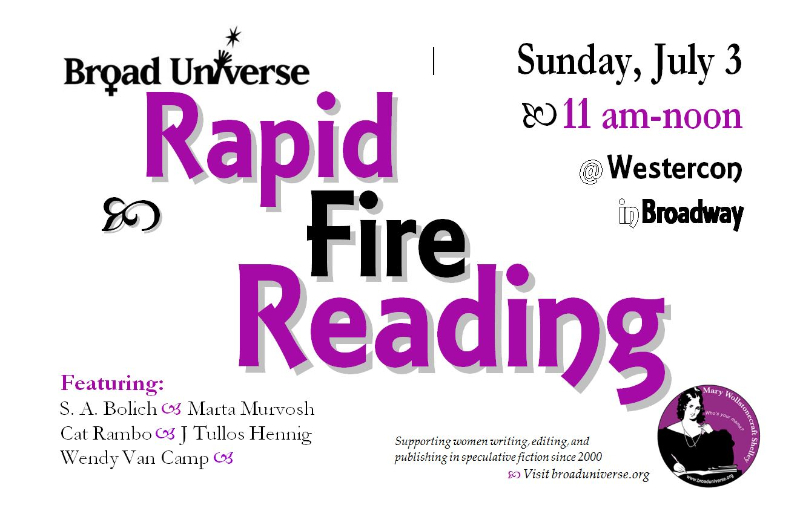 AND, if you’re interested in some quality speculative fiction, the Broad Universe Rapid Fire Reading might be just your ticket. Yours truly will be in the most excellent company of S. A. Bolich, Wendy Van Camp, Martha Murvosh and Cat Rambo. Sunday at 11 am. The Ungodly Tome what ate my year, a.k.a. 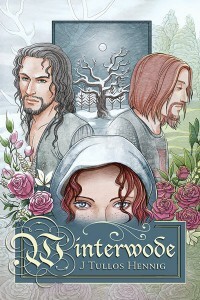 Gamelyn’s story (just like Winterwode was Marion’s, and the 5th book Robyn’s) , a.k.a. has been turned in to the publisher! I think a bender is in order. Anyone care to join in? Off To World Fantasy Con! Next week I will be in Saratoga Springs, NY with a whole host of companions from the SF/F not-so-hive mind, attending the World Fantasy Convention. 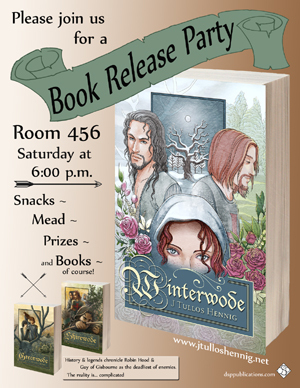 Special note: WINTERWODE will be having its official release party at the convention on Saturday (07 Nov.) at 6:00 p.m., with snacks, drinks, door prizes, the lot… and I will be signing copies of this newest Book of the Wode. Stay tuned for more info and, if you can, come say hullo! Well, it seemed that to list some creative retellings of Robin’s many faces would be a far more fitting tribute. I certainly cannot list them all — nor would I choose to, in some cases 😉 — but here are some of the prose examples that have, over the years, lain very close to my heart. Top of my list now, but at first I was hesitant to read them. Not because of the quality of writing (duh, it’s Parke Godwin), but due to the unexpected time frame. Robin Hood circa 1066 ACE? But I was young and foolish. Because why not? 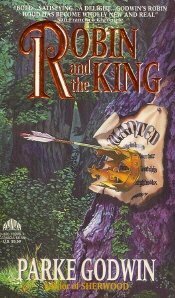 and yes!–Godwin took the Saxon/Norman conflict and put it where it truly belonged, with an amazing surround and strong, well-rounded characterisations… which meant, of course, they break your heart in all the right places. This one has all but disappeared, which is a shame. 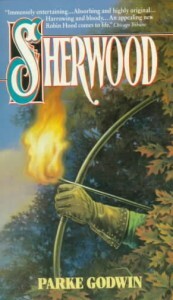 (Even the verrry dated cover that really doesn’t do the story justice is my old battered copy scanned in–couldn’t find it online.) I discovered Last of the Greenwood years ago whilst first researching the rest of the then-trilogy begun in Greenwode… and the dark mysticism in it was familiar, compelling… and reassuring, particularly to a young writer trying her own wierd new take on a warhorse of a legend. Told from the titular P.o.V., this was a refreshing take. 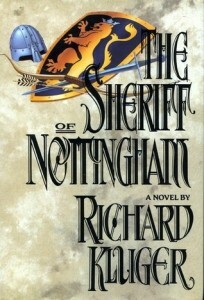 An anti-hero, certainly, but not a shallow villain with no story of his own. 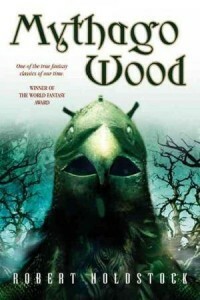 Robin is, in this book, a minor–and nicely ambiguous–character, but the Wood is the true wonder; a character in its own right, dark and magical and not-quite-friendly. In all these examples, the prose runs from brilliant to sublime. Beautiful and evocative writing. Of course, I also must mention the ones that lie closest to my heart. If I didn’t care about my own characters, didn’t love and hate and suffer with them… believe in them… even more than I cherish these other examples? 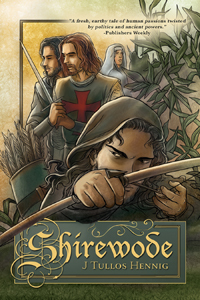 There would be little point to living, loving, and suffering with Robyn Hode and his covenant of the Shire Wode. So to the spirit of Robin and his band, in all their many incarnations — I salute you! Legends and Lore of the Pacific Northwest–the Rapid Fire Reading with Broad Universe–a belly dance workshop (yes, in my other, less mild-mannered ego I like to shimmy to odd-metre dumbek music)—a kaffee klatsch and a reading and a signing–and spending some lovely research hours at the Gonzaga library.